Ahh, toddlers. You’ve got to love them. Toddlerhood is actually my favorite age of childhood, because it’s a time of such huge growth. One of the most notable changes happening during this phase is child’s desire to be independent… the child’s desire to do things their way. Wanting to do everything their way, along with other major cognitive and social gains creates the perfect storm for negative behaviors (like screaming, hitting, biting, saying “no”) to rear their ugly head. But one day it hit me… at what point did he and I stop being on the same team? At what point did I start controlling him instead of guiding him? Of course I should want him to “win.” I want him to win at solving problems. To win at loving others unconditionally. Most importantly, to win in our relationship. Fast forward to now, and I’m viewing defiance and misbehavior in a whole new light. My 3-year-old is eating peanut butter toast with banana for breakfast (his request), and we are officially running late for preschool. We need to get in the car soon if we want to miss the morning traffic, but he has decided that he no longer wants the food that he begged for 2 minutes earlier. What started off as a relatively calm breakfast has turned into a battle of wills over him taking a few more bites of food. “You’re going to be hungry” I say, realizing immediately that he could care less. I can feel my frustration rising and even though I’m trying to stay calm, I’m getting snappy and irritable. In hindsight I can see so many opportunities that fell through the cracks to salvage this morning, but in the moment… there was nothing. Nothing I could do to stay calm, nothing I could do to get this tiny human to eat his food. Tantrums all around. I started learning about positive parenting long before I was actually a parent. When I was getting my MA in early childhood education, everything that I was studying about child development and how children grow up to be well-adjusted and emotionally intelligent… all pointed back to positive parenting. So once I had my own children, it made perfect sense for me to start putting some of those principles into action. Once I dove in, the first thing I realized is that there is a TON of information out there. Too much information. It’s overwhelming and honestly hard to know where to start. 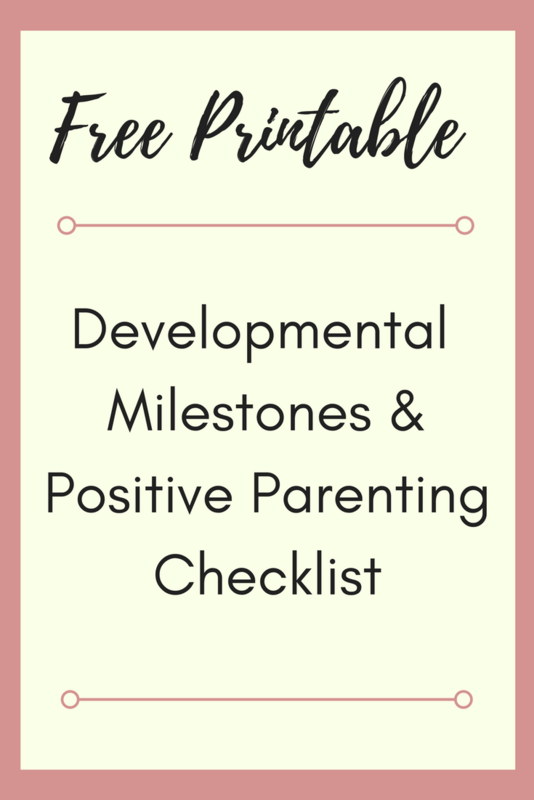 To help save you time on your journey towards becoming a more positive parent, I’ve compiled this list of 6 core positive parenting principles to live by. Consider this your “starter’s guide,” the “beginner’s manual” to positive parenting. Let’s dive in! Whining is one of the most irritating things that young children do, and it can push any parent to their absolute breaking point. Kids whine for a variety of reasons: they could be tired, hungry, sick, frustrated, or looking for attention. If parents give in to whining (think, toy or candy bar at the store), then kids learn that whining gets them what they want. The key to overcoming this habit begins in the calm moments where we as parents can come up with a plan to address our children’s whining in positive, non-shaming ways.